It’s Memorial Day weekend! The official beginning of summer, right? It’s now safe for My Cowboy to wear his white cowboy hat for the season — whew! To help kick off your own summer in retro style, C&T Publishing is offering up my “Summer of ’51 Tablecloth” pattern for free on their blog this week. It’s the tablecloth pattern from my book, “A Simple Life: Quilts Inspired by the ’50s“. You can get the tablecloth instructions HERE, if you don’t already own the book. Or, if you’d like to own the book and have all the patterns, you can purchase it HERE. Also, don’t forget that the quilting design pattern for the tablecloth is also available for free on the free downloads page for The Life of Hazel Ilene. For some added entertainment, check out my interview with C&T Publishing HERE. I’m hard at work on the next Quilt-Along that will begin later this summer, so stay tuned! Thanks for posting the link. Happy Summer! 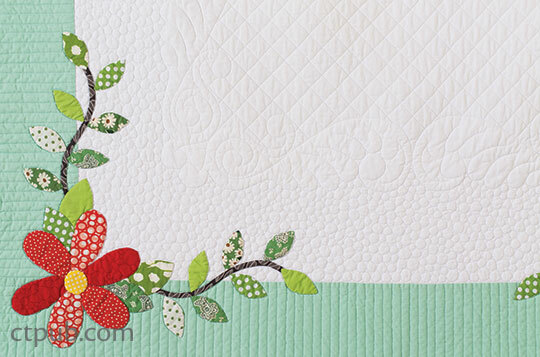 I’ve just recently discovered and fallen in love with the Hazel’s Diary quilt. I’d like your permission to use the pattern to make a raffle quilt for our quilt guild. Thanks!